Welcome to the Audio Bay, the analog mastering specialist! We are an analog mastering studio that partners with independent artists and record labels to provide a vital step in professional music production. The head engineer and managing partner, Andrew Mitchell, has nearly 20 years of professional analog mastering experience. 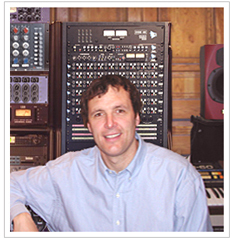 Since 1999 he has worked with independent and label supported artists and has become a sought after expert in the field of audio post-production. Our goal is simple, exceed expectations and deliver a sound that can compete in any market. Our analog mastering processes deliver a sound with wonderful sonic detail, warmth and clarity while preserving the dynamic range of the mix. Unlike digital mastering we are not interested in “brick-walling” a mix for the sake of being “LOUD.” We use 100% analog mastering equipment, including Manley, Neve, API, Avalon, Neumann and more, to get the most out of a mix without compromising it. •The Audio Bay is Mastered for iTunes Certified. • Some of our credits include Blake Carter, George Moss, Mick Lane, Joe Ayoub, Billy Currington, Josh Kelley, Emy Phelps, Darol Anger, Marvin Sapp, to name a few. • 2 Time Silver Microphone Award winner! • Upload a song and we will master a sample free of charge. Hear what over 15 years of professional analog mastering experience can do for your sound. (typically a 2 minute portion of the song is mastered for review. Turnaround time is approximately 24 hours). • We guarantee our mastering service 100%. • 100% Analog Mastering. No software processing. Hear the sweet, upper harmonics that deliver clarity to a mix. Learn how superior vacuum tube EQ’s can blend tones and increase the “space” within a mix and remove harsh sonic qualities of a digital recording. Questions or comments? Please contact andy@audiobaymastering.com at the Audio Bay Mastering Studio.